Graphic organizer for French masculine, feminine, and plural adjectives. 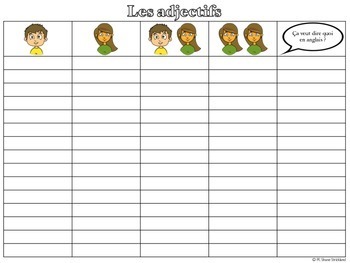 For example, if we took the adjective "âgé," students can fill in the chart appropriately with all the forms of "âgé": âgé, âgée, âgés, âgées, old. This PDF could be copied back to back in order to not waste paper.